Burberry's new star designer Riccardo Tisci put his own twist on the venerable British company's classic style for its streetwear and luxury fashion show at London's Fashion Week on Monday. 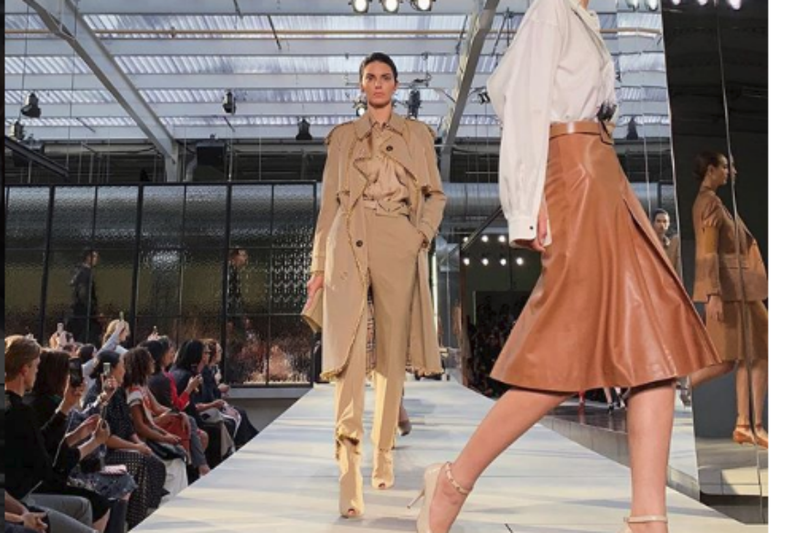 The 44-year-old Italian designer's first Burberry show was one of the most anticipated events of Fashion Week, attracting around 800 guests. Kendall Jenner was among the star models debuting for the heavyweight fashion house, which was showing its 2019 spring/summer collection, although the front-row was an unusually celebrity-free zone. With a soundtrack by trip-hop group Massive Attack the catwalk show took place in a former post office centre under renovation — a metaphor for the change that Burberry hopes Tisci will bring to the label, following his success at Givenchy. "I was thinking a lot about journeys as I started putting together my first Burberry collection," said Tisci, whoc was named as Burberry's new chief creative officer in March, replacing Christopher Bailey. "From my personal journey back to London 20 years after I showed my graduate collection here, to how far I have come. "I was also inspired by how much London -- the city that made me dream to become a designer — has evolved," he added. "This show is a celebration of the cultures, the traditions and the codes of this historic fashion house and of the eclecticism that makes up the beautifully diverse United Kingdom." Tisci broke with the label's tradition by presenting a range of evening dresses, a wardrobe it has never catered for before. The second half of the show was more daring, with short hemlines, slip dresses, leather straps and cowgirl gingham on display. Across town at Kensington Gardens, Serbian designer Roksanda Ilincic brought reggae beats to Fashion Week. These skills were on display with a long sheath dress covered with delicate, alternate coloured rectangles, enhanced with fine black selvedges on the collar, and by large scarves forming the shape of the letter "X", worn over casual raincoats. Her fluid and comfortable style has won a legion of celebrity admirers, including Emma Stone, Cate Blanchett and Kate Middleton. The collection also explored a bold palette, which the designer described as "bright" and "spicy", evoking "turmeric, poppy and limoncello". London Fashion Week kicked off Friday with all eyes on Victoria Beckham, who debuted at the event on the 10th anniversary of her label's launch. It will run until Tuesday.